You may be surprised to learn that even though there is a desperate shortage of GP appointments nationally, some people still book appointments when they do not need to; for example, if they have a minor ailment. Simply present yourself to your local Pharmacist with your health concern, and they will help you. It's that simple. 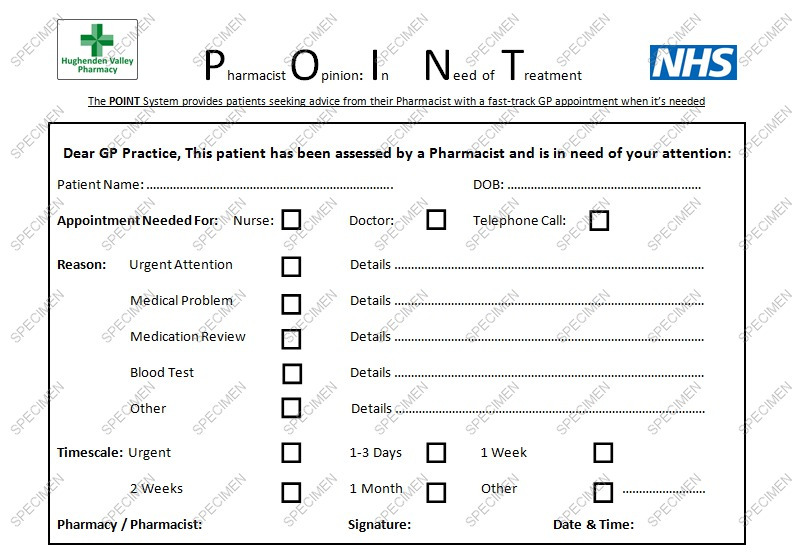 If you do need to see someone else about your health problem then you will be 'pointed' in the right direction by your Pharmacist.